I boarded the ship at Southampton, on England’s southern coast, a city they called Gateway to the World. It was appropriately named. New worlds would indeed open to those that dared sail on the Titanic’s maiden voyage. Southampton was seafaring town of busy docks, commerce and fishermen who, given half the chance may have recognized me for what I was. Yet I went ably and quietly about my business, our custom being to operate in stealth. My disguise was well put together, a simple blue dress, lace up boots and one bag of luggage that contained only my combs, mirrors, candles and an ancient grimoire. For all the crew and passengers knew, I could have been any normal woman, a widow perhaps, traveling alone with a full purse and a certain destination. My nature necessitated a room in first class, where I could have daily baths in the salt water swimming pool. The engineers had designed it to provide diversion for wealthy passengers with plenty of leisure time. Little did they know it was my mainstay of survival. Without it I could never have attempted my feat. I socialized moderately, took dinner with new acquaintances, but left my comments to such mundane topics as the weather and other non-committal matters. This was my strategy, to avoid drawing attention to myself. Until of course, the very last. 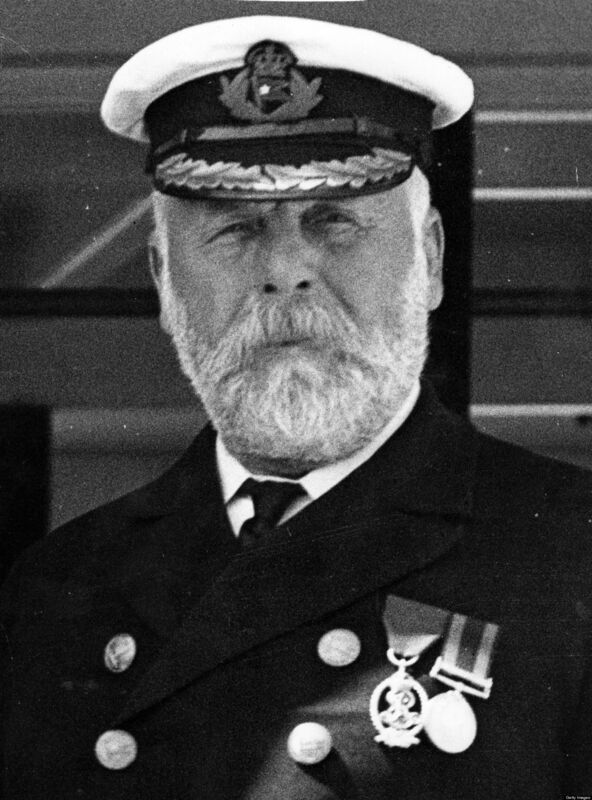 The captain, one Edward John Smith of the Royal Naval Reserve, was a stately man, well-seasoned and of good capabilities. When I inquired of the ship’s dimensions, her tonnage and resistance, Captain Smith looked at me funny. He must have thought it strange, a woman interested in such things. Still it was important I establish this knowledge. Else all my plans could go afoul. We traveled for four days, stopping at Cherbourg Harbor in France and Queenstown in Ireland where more passengers boarded. They were a grand sight; well-heeled women in dresses of silk and gabardine, with enormous steamer trunks that held entire wardrobes. Scruffy emigrants in fisher caps and babuskas, with only hobo sacks of clothes. Excitedly they took their bunks in steerage. No matter that the class was third, for this was an ocean voyage. Poor innocents, all of them! They had no idea of their fate. Yet they sought new lands and opportunity. Those were things I could well provide. On the night it happened the ship rounded the Grand Banks of Newfoundland. The moon was new, providing no extra light to the blackened sky. I had planned it as such, the first new moon after the spring equinox, when my powers of sorcery were at their ripest. Black as this night, an invisible fence! Black as this night, unseen by the crew. I then shattered the mirror and flung it overboard, crystalline shards drifting in the wind and falling like glittering stars to the churning water. Black icebergs are a rare phenomenon that neither the captain nor crew were familiar with. When my mountain arose from the water none could see it at first. By the time the watchful lookout man spotted the iceberg, it was too late. The great Titanic hit the dense rock, damaging her hull. The sea began to seep in. Soon all five of the ship’s watertight compartments were flooded. This meant certain disaster. I was elated. As the water rose I could contain myself no longer. 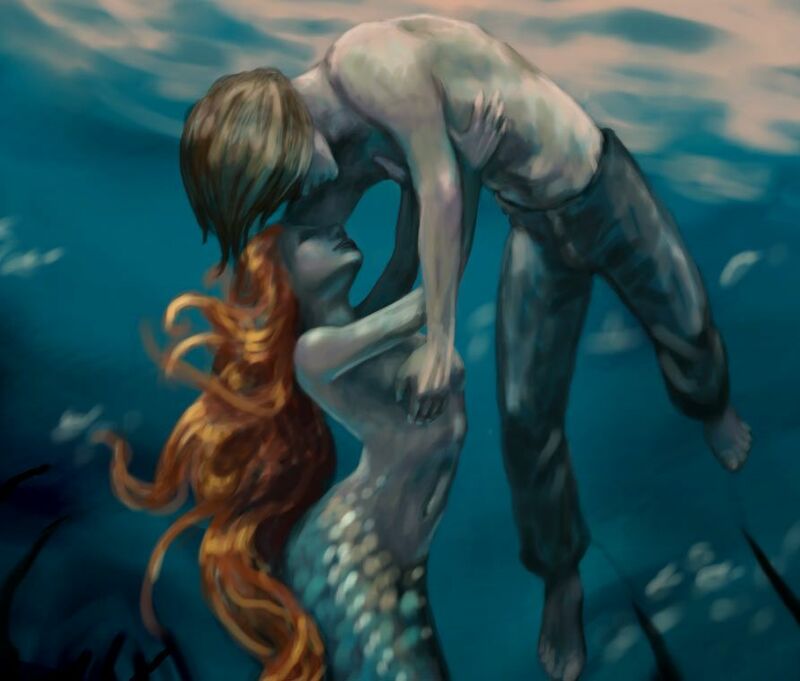 Rushing below deck, I shifted to my mermaid’s body. 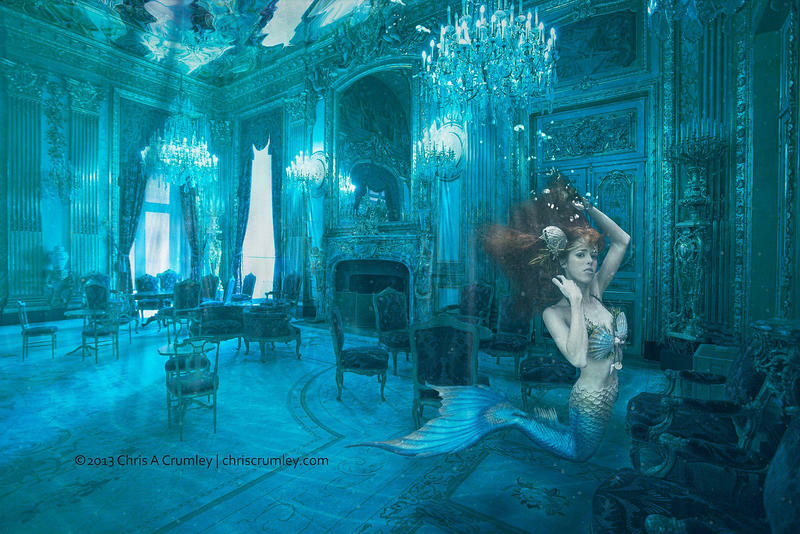 I swam through the hallways, through the ever-rising tide of the elegant and soon to be flooded rooms. The passengers, already in a state of shock, saw me and turned a whiter shade of pale. They were helpless. I tried to talk to them, to reassure them that all would be well. But they were so frenzied, in such throes of panic, they could not hear my words. One shipmate grabbed a pistol and attempted to shoot me, bludgeoning a bloody hole through my tail. However, the sea’s salt water, now slowly immersing every floor, quickly healed me. As a Rusalka, I was immortal. I finally perched myself upon the rail of the deck, curling my tail beneath me. In amusement I watched. Crew and passengers scurried about, securing lifeboats. There would never be enough. The captain, in his foolishness of believing the Titanic was unsinkable, had only equipped her with half of what was necessary. This was all the better! “Women and children first,” called the first mate. I smiled. Yes, they would save the women and children first, as was human protocol. From flooding corridors and slippery decks the men ran. Handsome, swarthy sailors, savvy men of business, emigrants in rags. All unsuspecting. All clueless. Finally the ship cracked in two, her bow submerged, her back end rising upright like a serpent in the water. The remaining passengers slid to their death. I balanced on my tail, stretched my arms before me and called out in my voice, loud as any canon: “Undines! Rusalki! Sirenas! Come forth!” I then dove off the rails. Down, down I plunged into the ocean’s depths. There, rising on the crests of waves, my Mer-sisters emerged. “Make your choices ladies,” I shouted. “This cargo is ripe for the picking!” It was a welcome gift. We had heretofore been sadly lacking in male companionship. I grabbed a young sailor, his skin gone translucent blue, his eyes open in the cold stare of the dead. I pulled him to my breast, kissed him boldly on the mouth. His eyes then flickered in a strange and frightened recognition. He was the one who had attempted to shoot me with a pistol. Blood rushed to his cheeks. “I should not forgive you,” I chided. Yet he was handsome and able, and in that instant I determined to make him mine. 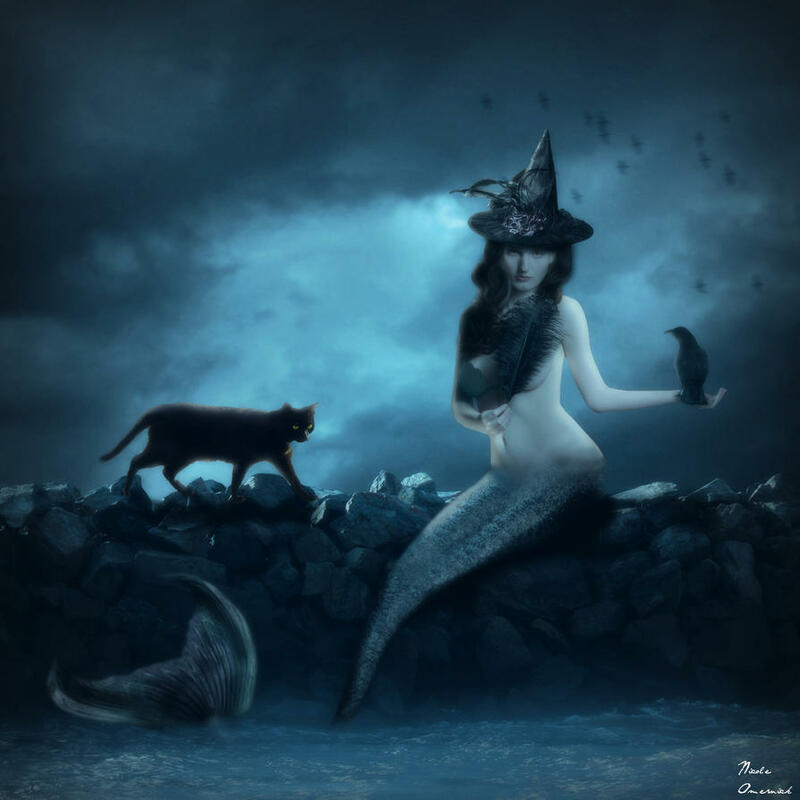 My Mer-sisters followed suit, awakening the sea’s dead with kisses of life. One by one, the drowned became conscious, still in shock, but alive. The men were new in their surroundings, but, being sailors, most had immense love of the water. At the very least they were grateful for their renewed life. I was confident they would be happy. And if not? Well — I had more mirrors and candles and more spells to cast, didn’t I? Not the least of which might bring love. ** HISTORICAL NOTE: On this day, April 15, 1912, the real RMS Titanic, headed on her maiden voyage to New York City, sank off the coast of Newfoundland. She had hit a “black” iceberg which caused irreparable damage to her hull. The massive ship was 882 feet long with a breadth of 92 feet. Her total height, measured from keel to bridge, was 104 feet. She weighed 46,328 tons. Among her more novel features, available only to first-class passengers, was a 7 ft. deep saltwater swimming pool, a gymnasium, a squash court, and a Turkish bath. Because of her gargantuan size, the Titanic was considered virtually unsinkable. Whether out of carelessness or limited storage capacity, the ship only held enough lifeboats to carry about half the passengers. These were quickly depleted. 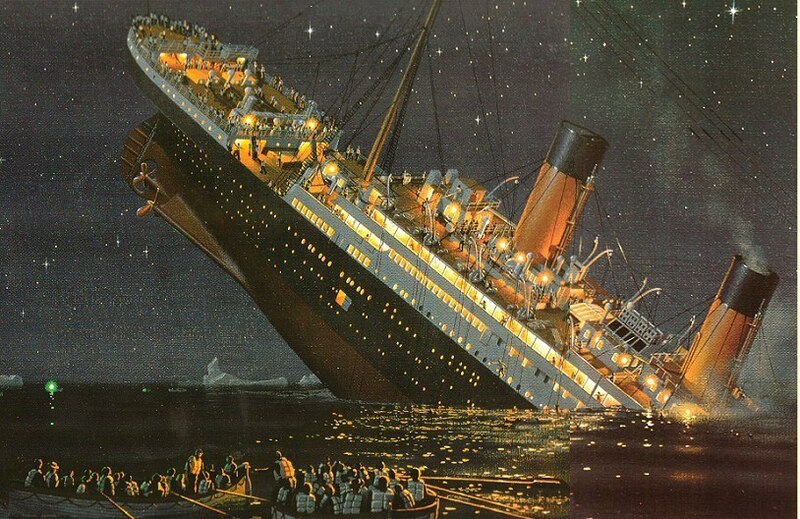 On the night the Titanic sank, conditions were calm, clear, dark and cold. The black sky held a new moon, the ocean lit only by the stars. The “invisible” iceberg, a rare phenomenon, seemed to appear out of nowhere. Approximately 1500 passengers lost their lives. Due to the “women and children first” rule, most of the deceased were men.